New research out of Norway shows that taking LSD, "magic mushrooms," and peyote -- so-called psychedelic drugs -- won't raise risk for mental health problems as previously thought. Published in the Aug. 19 issue of PLoS One, the study says that some psychedelic drugs may even reduce risk for psychological problems. "After adjusting for other risk factors, lifetime use of LSD, psilocybin, mescaline or peyote, or past year use of LSD was not associated with a higher rate of mental health problems or receiving mental health treatment," study author Pal-Orjan Johansen, a neuroscientist at the Norwegian University of Science and Technology in Trondheim, Norway, said in a statement. Psychedelic drugs have similar structures to naturally-occurring neurotransmitters, which are chemical messengers found in the brain, according to the National Institute on Drug Abuse (NIDA). The exact way they work is unclear, but they're thought to temporarily interfere with neurotransmitter action, leading to rapid emotional swings and hallucinogenic "trips" that can last hours (on average six hours for magic mushrooms, or psilocybin, and up to 12 hours for peyote and LSD). A 2007 government survey found about 1.1 million people aged 12 and older had used a psychedelic drug for the first time in the year prior to being surveyed, NIDA reported. There haven't been properly controlled studies on these drugs, according to the government drug agency, but some case reports and smaller studies suggest there could be long-term effects like flashbacks, impaired memory, and risk of psychiatric illness. For the new study, researchers analyzed data on more than 130,000 randomly chosen Americans who took a drug use survey between 2001 and 2004, including 22,000 who had used a psychedelic drug at least once. They were also asked about any mental health symptoms and treatments that took place in the year prior to being surveyed. The symptoms in the survey were associated with mental health woes including psychological distress, anxiety disorders, psychosis and mood disorders. They found no association between the drugs and this range of mental health problems. Instead, the researchers found lifetime use of psilocybin or mescaline and use of LSD in the past year were linked to lower rates of major psychological distress. Lifetime LSD users were also less likely to receive outpatient mental health treatment, such as from a therapist, or take psychiatric prescription medications. The research only found links to mental health benefits, not a cause-and-effect relationship, and the study's design made it impossible to determine why these results were occurring. While they can't rule out the possibility that using these drugs might negatively affect mental health, Johansen and colleagues pointed out that recent studies have also failed to find evidence of lasting harmful effects from psychedelic drugs. The researcher added that studies of people who used psychedelics hundreds of times for religious ceremonies found no evidence of health or social problems. If there are negative effects from these drugs, they may be counterbalanced at the population level by people experiencing positive mental health effects, according to the researchers. "Early speculation that psychedelics might lead to mental health problems was based on a small number of case reports and did not take into account either the widespread use of psychedelics or the not infrequent rate of mental health problems in the general population," study co-author Teri Krebs added in the statement. Previous studies have also suggest psychedelics may have protective benefits for mental health. 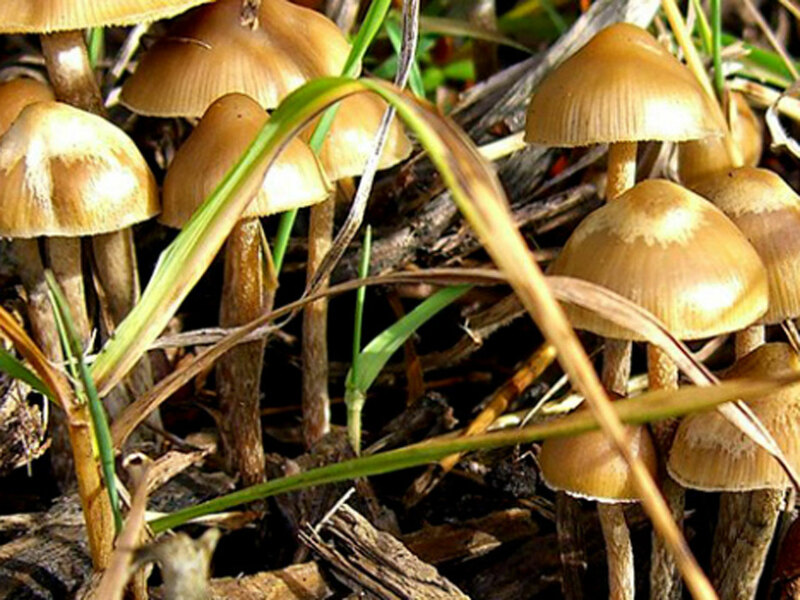 Two studies released in Jan. 2012 found reduced risk for depression in psilocybin-takers. Krebs and Johansen also teamed up for a March 2012 study that found LSD may help serious alcoholics stay sober.Many of the alcoholics who took LSD reported "greater self-acceptance and openness," and said they gained a new appreciation for their problem and new motivation to address it. "Having personally worked in mental health and trained in psychiatry, I am yet to see any individual suffering from significant mental health problems as a result of using psychedelic," Dr. Mark Bolstridge, a research fellow at the Centre for Neuropsychopharmacology of the Imperial College of London in the U.K., said to Medscape. "Alcohol, amphetamines, and cannabis, yes, but never psychedelics," added Bolstridge, who was not involved in the research. "I think the paper is an important addition to the scientific literature, and it can only help in dispelling the myths surrounding these much maligned substances and in reinforcing the case for continued investigations into how these fascinating compounds work in the brain." Dr. Matthew Johnson, a psychologist in the psychiatry department at Johns Hopkins School of Medicine in Baltimore, told NPR that the new study does not guarantee that people taking these drugs won't face mental health harms. "This should not be taken to state that there are never individual cases of harm," he said. "We know that there are. It's a question of how frequent they are and under what circumstances they happen."